Below you'll find recommendations from Chris Packham, how to book private birdwatching day trips (or longer), as well as our top hotels for spotting a wide variety of birdlife. You can also read about one of our customer's birdwatching experiences here. Please note, tours are currently on hold until 2021. 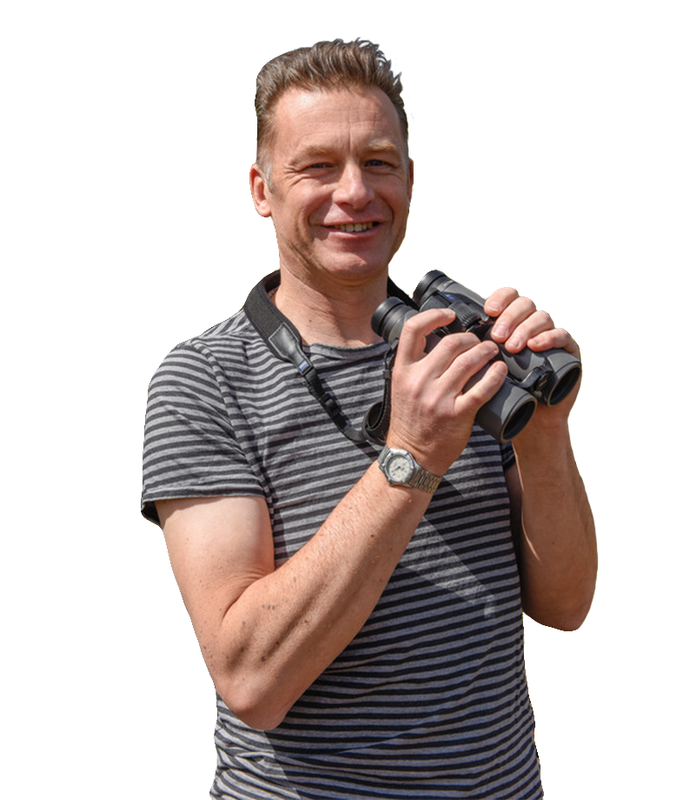 Chris Packham has led birdwatching tours to The Gambia for us for over a decade now, along with his preferred guide, Malick Suso, and is a massive advocate for The Gambia, both as a holiday destination in its own right and as a supreme birdwatcher's paradise. Although we're not currently running tours with the presenter, here's some handy recommendations from the expert himself. ‘The Gambia remains a top birding destination. 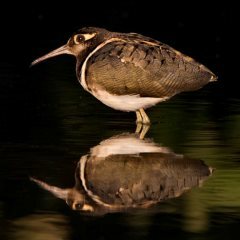 Easily accessible, affordable and packed with a range of exciting species, it’s a great place to get an introduction to African birds or snap some super photographs. The guides are brilliant, the people are friendly, the hotels and food are good and the sun shines. That’s why I go back for more every year! The Bakotu Hotel is my second home. Small, quiet, friendly, with good restaurants in and around, it also has lovely gardens which are full of bird and mammal life so it’s the perfect place to stay and connect with The Gambia’s wonderful wildlife. Mandina offers something completely different - it is simply beautiful, a patch of heaven on earth, tranquil, lush, peaceful and full of fabulous wildlife, and the stunning lodges are just perfect. Watching the egrets and herons arrive back at their roost as the sun sets serenely over the mangroves whilst sipping a cold beer is the best evening of my year – this place is simply awesome'. 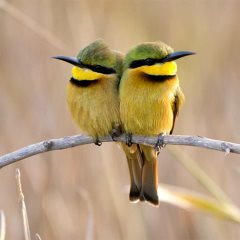 This great introduction to African birding is ideal for those with a desire to seek out a wide variety of the amazing birdlife that The Gambia has to offer. 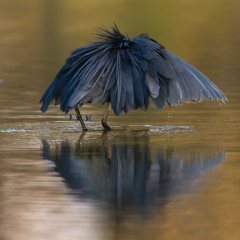 Our two-day private tour is designed specifically with the keen amateur in mind, and you can join an expert bird guide in exploring several habitats for the best opportunity to discover new species. Staying at a resort hotel of your choice, you will be collected and transported in an air-conditioned, fully-insured vehicle, accompanied by an English-speaking specialist bird guide to give the best chance to spot a wide range of species and answer all your questions, plus all lunches and entrance fees / boat trip are included. Supplement is £275 per person (excluding flights and accommodation). Various departure dates are available, based on your requirements. Visit Abuko Nature Reserve, home to approximately 250 species of bird including the giant kingfishers and turacco, along with three types of monkey. After lunch, birding will be around Lamin Lodge and rice fields, offering mangrove and tidal mudflat habitats. Brufut Forest offers the opportunity for sightings of woodland birds, followed by an afternoon around Tanji Bird Reserve, including a boat trip to Bijol Island, home to both migrant sea birds and bush-dwelling species such as warblers. Stop also at Tanji fish market for a cultural experience on the beach. Malick Suso has over 20 years of experience birdwatching in The Gambia and knows the terrain and where to look for the rare species like no other. He's also been described by Chris Packham as one of the very best bird watchers and guides in the whole of The Gambia; high praise indeed! 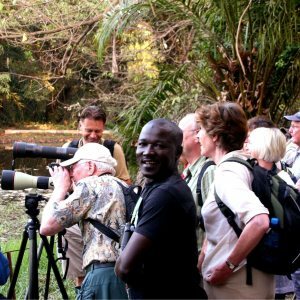 He's represented Gambian birding at the UK Bird Fair in Rutland and we're delighted to be able to recommend his services to Gambia Experience guests. We can arrange birding trips with Malick, either before you travel or on arrival (subject to availability), which will involve visits to a variety of habitats, utilising all his local knowledge to help seek out the rarest and the most colourful species. Malick can also do birding trips into Senegal, please ring our reservations department to check availability and receive a quote for your request. "The Gambia is one of the best places in Africa to go birdwatching, and to get out into the field with the legendary guide Malick Suso is an experience I’ll never forget. A really inspiring day hiking in the bush with plenty to see and never a dull moment. Malick is simply the best." "It was not only Malick's superb knowledge and awesome skill in locating, spotting and calling up birds that made our time with him so special. In addition to this it was also his passion for sharing his understanding of the people and culture of his country as we ventured 'up river' and away from the coast. He showed great initiative and flexibility in being sensitive to our needs, to give us the trip we really wanted. We learnt a great deal and had lots of fun in the process, coming away enriched by our time with him. He seemed to know nearly everyone and it was clear why he is liked and respected." There's an abundance of birdlife in and around the hotels so, even if you've just a passing interest, don't forget to pack your binoculars. Below are some of the hotels we believe give you the best opportunity to enjoy what The Gambia has to offer without straying too far, but this list is by no means exclusive. We've also put together a multi-centre option featuring three of the best locations for birdwatchiing; Mandina Lodges, the Chimpanzee Rehabilitation Project Camp and Bakotu Hotel on our Birdlife of The Gambia tour. For those with a more keen interest, we work with a number of specialist companies. These include Naturetrek, who offer a few different options including a seven-night stay at Mandina Lodges, and Limosa Holidays who can be contacted directly for further details of departure dates and itineraries. For the more independent traveller or small groups, we can arrange upriver accompanied tours to discover the best of The Gambia's birdlife, visiting renowned birdwatching areas such as the Baobolong Wetlands, where the new Morgan Kunda Lodge is located. If you'd like to know more about these lodges, here's the top 10 reasons to visit. 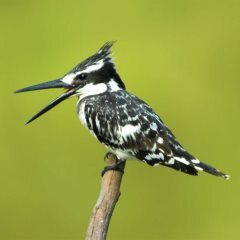 Great value for money African birding trip. We would recommend The Gambia Experience for the organisation of the trip and Malick as a brilliant bird guide. In all, great value for money.